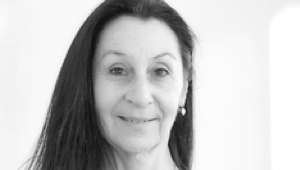 Alison Curtis-Jones, Artistic Director of Summit Dance Theatre, is an internationally recognised dance artist and leading exponent of Rudolf Laban’s Dance Theatre work (1913-1928). Ali is a specialist in Choreology and teaches on the Dance Faculty at Trinity Laban Conservatoire of Music and Dance, London. Ali’s re-creations include Laban’s Nacht (1927), in London 2010, 2011 and 2014 and with Summit Dance Theatre for Laban Event in Ascona, Switzerland, 2013, Green Clowns (Die Grunen Clowns, 1928) with Transitions Dance Company for The Laban International Conference: The Dynamic Body in Space, 2009, with Trinity Laban dancers in 2008 and commissioned to re-create Green Clowns in 2014, to commemorate the centenary of World War One and the Auschwitz Memorial in the UK, 2015. The Swiss Office of Culture awarded in 2014 the project to re-create two Laban works and Summit Dance Theatre will perform re-creations of Laban’s Ishtar’s Journey into Hades(1913) and Dancing Drumstick(1913) in Monte Verita, in October 2015. We are a group of graduates of the Sigurd Leeder School of Dance. We are united by the experience of how Leeder introduced us to the art of dance through his self-developed dance pedagogy and trained us as independent artists. We are united by the experience of a great dancer, dance creator and dance teacher, who gave us insight into his previous work, his personal conception of dance, dance performance and dance pedagogy, which he had developed over a long artistic life. We became witnesses to creative processes, for until the end Leeder created new choreographic works and developed new artistic etudes in the classroom. He trained us in various periods of his teaching (1956-1980). Most of us met Leeder in Herisau, the last location of his activity (1964-1980). Rut Ackermann, Jacqueline Keller-Hoffmann, Annamaria Studer, Christine von Mentlen, Emilio Schlepfer and Dr. Ann Hutchinson-Guest. 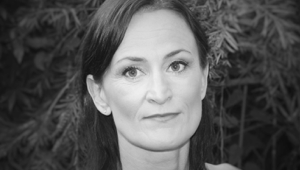 Clare has worked in several Higher Education Institutions in which her teaching has ranged from modules in dance technique, dance history, and musical theatre to modules in German Expressionism, dance from culture to culture, and health and well-being. She has performed in the UK and Europe, choreographed for plays and operas and been part of the preservation process of the Kurt Jooss repertoire through work with dance companies in the USA and Europe. Over four decades of dedication to professional theatre: from the foundation, in the seventies, of Libre Teatro Libre, one of the most famous Latin American companies in Argentina to the birth of the "Teatro delle Radici" in Switzerland in 1980. The versality of her work (as an actress, a teacher and a director) has led her to put into practice the fundamental aspects of her approach, first on herself and then with numerous actors, the fundamental aspects of her approach to theater. She created about thirty performances and held performances and workshops for actors in 38 countries, from Europe to Latin America, Asia, Africa to the Middle East and Australia. She founded and directed the “Theatre Lab School for Theatrical training and Research (1990), which annually calls actors from different backgrounds and cultures. 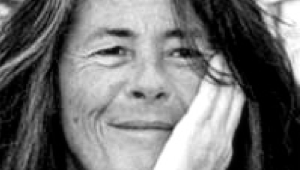 She edited the book Attore-Autore (Actor-Author), I Sentieri dell’Acqua (The Path of the Water), Trilogia dell’assenza (Trilogy of absence), Voci peregrine containing almost all the texts of the performances created and in 2015 Tracce. In 2014 she received the Swiss Theater Award, awarded by the Federal Office of Culture. is a freelance dance artist (performance, choreography) and pedagogue (dance in schools, Contact Improvisation for adults). Her choreographical research continuously returns to her interest in Choreology and dance history. She trained at LABAN/ London (Dipl. PDDS, MA in Dance Studies), which included her MA paper The Role of Movement in Dance in Dada in Zürich (1995). Several presentations of around Sophie Taeuber-Arp as a performer within exhibitions (Museum Bellerive, Zurich; Ziegelhütte, Appenzell). Since 1993 performing as a soloist and in collaborations with dancers, musicians, actors and actresses and visual artists in London and in Basel, Switzerland. Choreographs for the stage as well as site-specifically, indoors and outdoors. In the last ten years her choreographic research focuses on improvisation as performance art, having worked intensively with Deborah Hay and Nancy Stark-Smith - amongst numerous others. In 2004 Monique Kroepfli founds the lost&found dance collective. Dancer, a member company of Pina Bausch Tanztheater (1989 to 1999). She studied in Rome with Viola Faber, Libby Ney (tecn. Limon) Andre’Peck, Roberta Garrison (tecn. Cunningham), Richard Haisma (Nikolais) Mudra ( Bejart), Matt Mattox (Jazz) e Martha Graham. She participates in the creation of the performance by Giorgio Rossi (Stop Palmizi / Carolin Carlson) at the Festival of Polverigi. She studies the techniques of Jean Cebron (composition/improvisation), Hans Zullig (tecn. Joss) at the Folkwang Hochschule in Essen (directed by Pina Bausch). She danced with Pina Bausch in 14 different choreography and participated in the new creations of the German choreographer: Tanzabend II (’92), Schiff (’93), Trauerspiel (’94), Danzon (’95) and Fensterputzer (’97). Leaving the company in 1999 but later returned as a guest participating in the festival Tanzteather (2000, 2001, 2002). She works in collaboration with Pina Bausch Foundation giving workshops in occasion of two big expositions dedicated to Pina at the Bundes-kunsthalle in Bonn and at the Gropius Bau in Berlin (2015-2016). 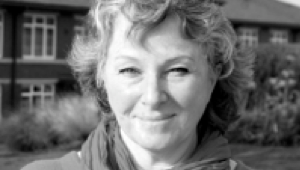 She works as freelance giving workshops and master classes in Italy and Europe. 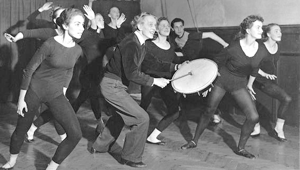 - Practical Choreologist, “Special diploma in Choreological Studies” contemporary principles and practice of Rudolf Laban’s work at Trinity Laban Conservatoire of Music and Dance, London. - Dance-movement therapist (Art Therapy Italiana Bologna). - CMA (Certified Movement Analysis), issued by the LIMS, New York. Between 1978-1990 she studied and worked as a dancer with choreographers who have traced the history of modern and contem-porary dance. 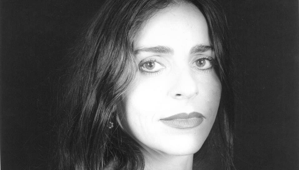 1990-2002 she travels and works extensively with Teatro delle Radici absorbing the methodology of its founder Cristina Castrillo, as a dancer, actress and assistant. Since 2002, she researched and studied the art of movement in its perfor-mative, somatic and deep aspects, she also practices the discipline of Authentic Movement, an exploration of the uncon-scious through movement. Since 2013 she promotes and organizes the LABAN EVENT in Monte Verità, Ascona Switzerland. One of the winners of the Swiss Dance Award 2014 “dance as cultural heritage” with the project "The Dancing Drumstick and Ishtar's Journey into Hades”. 2018 Member of the Jury Swiss Dance Award Federal Office of Culture. 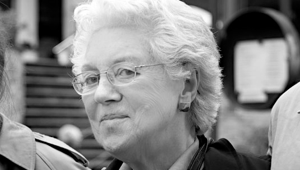 Dr. Preston-Dunlop is a consultant at Trinity Laban Conservatoire of Music and Dance where she pioneered the development of choreological studies. A practical scholar, she received her initial training from Rudolf Laban, Lisa Ullman, Kurt Jooss and Albrecht Knust. While a young teacher of modern dance she developed Laban’s concepts for educational dance and for notation. Always innovative introduced and developed the Motif Writing. 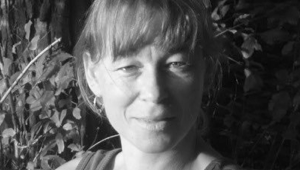 Her current research interests are sacred geometry in human movement, recover and re-create the works of the twenties of Laban and the development of interactive mapping methods for documenting the creative process in the first place for the multimedia dance theatre William Forsythe. She published several books, including Rudolf Laban: An Extraordinary Life (winner of the Dance Perspectives book of the year 1999).